In order to provide as many students as possible with opportunities for global education, the division provides general education and liberal arts courses, interdisciplinary courses and leading-edge lectures in English. Faculties specialized in liberal arts are invited from affiliated overseas universities so that a world-class curriculum for liberal arts education may be offered. 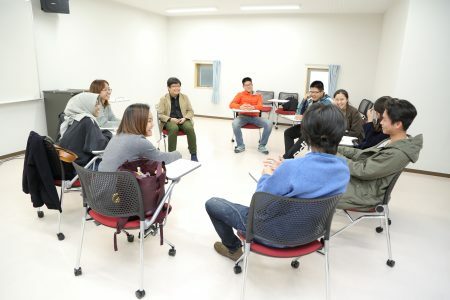 The Division for Open Global Education aims to contribute to the local community by providing opportunities for global education and international cooperation through Kumamoto University’s College of Cross-Cultural and Multidisciplinary Studies. The purpose of KU Global Youth Campus project is to develop and provide a global education environment through a variety of learning experiences and events for young people who are preparing for higher education. 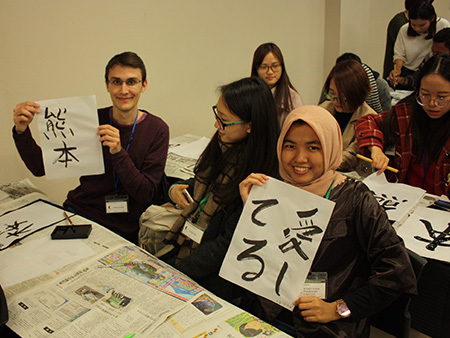 The Summer and Spring Programs offered by the College of Cross-Cultural and Multidisciplinary Studies at Kumamoto University provide international students with the opportunity to come to Japan for hands-on cultural learning opportunities, experience life as an international student at Kumamoto University, and to create cultural bridges between local and international communities.